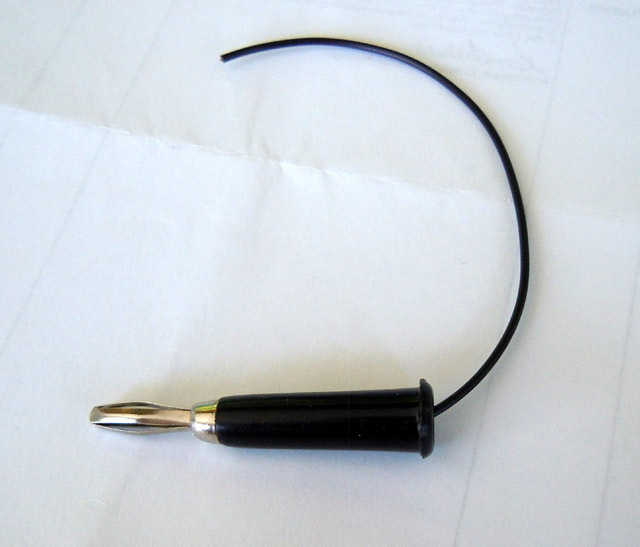 Black Banana Jack (male) 5" of 26 gauge wire attached. 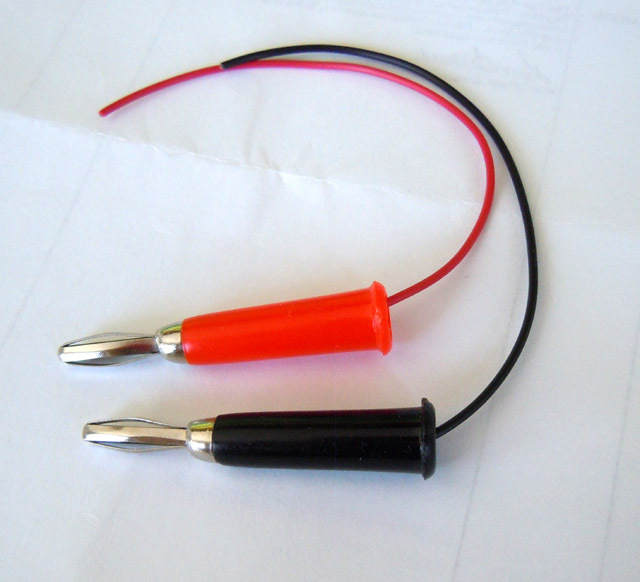 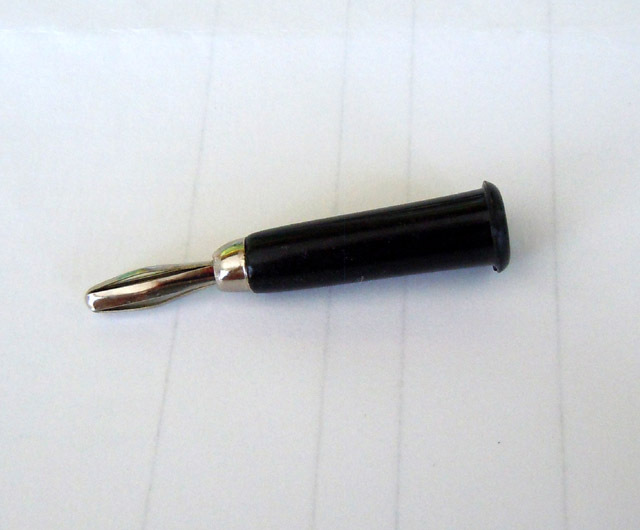 Due to the long plastic handle, useful wire length is 4"
Banana Jack pair (male) 5" of 26 gauge wire attached. 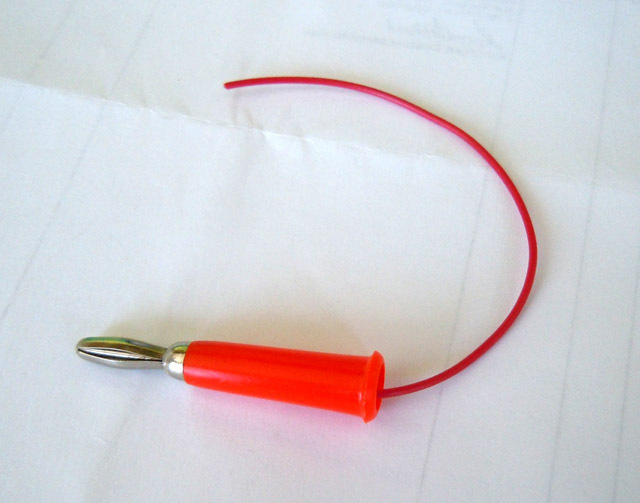 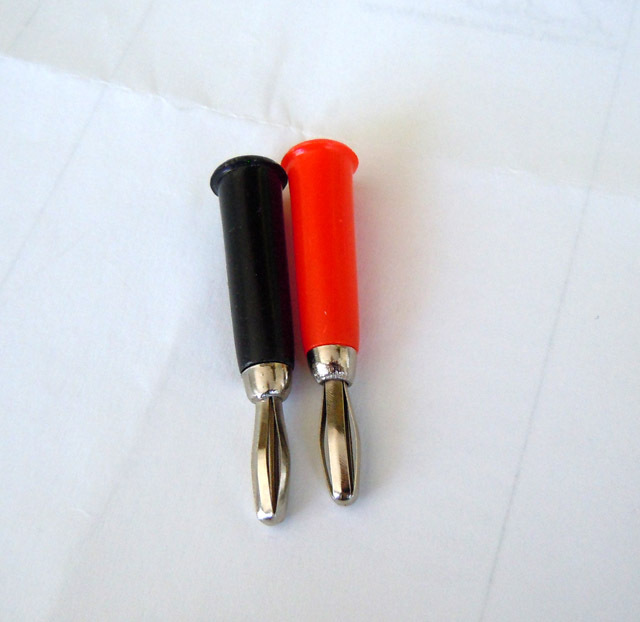 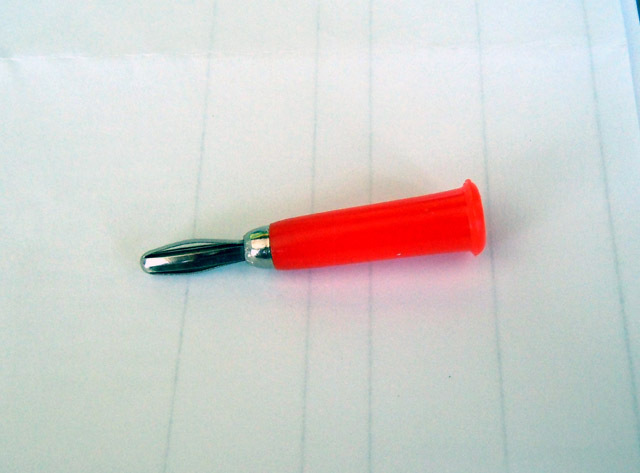 Due to the long plastic handle, useful wire length is 4"
Red Banana Jack (male) 5" of 26 gauge wire attached. 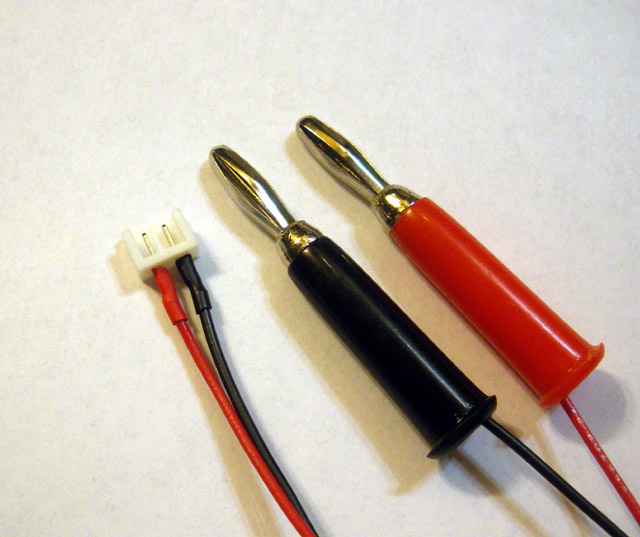 Due to the long plastic handle, useful wire length is 4"